Life as a Gypsy: Five Colors, Five Destinations. I was tagged a month ago in another travel blogger's post to do this and I just got super busy with work and forgot - so before I forget to do this again. Produce a blog post with photographs that capture five colors. Blue, Green, Yellow, White and Red. Capture the world in colors and not by passport stamps.... Open your mind and let your eyes do the wandering and your feet do the walking - and who knows what you will see! 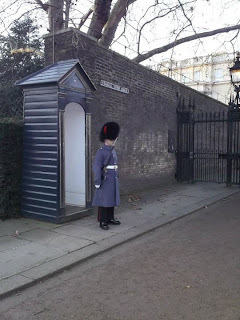 Blue: London, England- Queens guard. Got to give these guys props for being able to stand still for as long as they do without moving a muscle or talking. I just hope they get paid good money to stand there all day. Green: Santa Monica, California in the summer time. 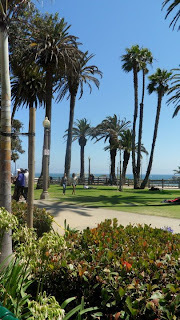 What are the odds i would return back to Santa Monica twice in the same here. Last visit was in January 2011 and I Returned for the summer of 2011 and it is defiantly a different atmosphere, city in the summer let me tell you. 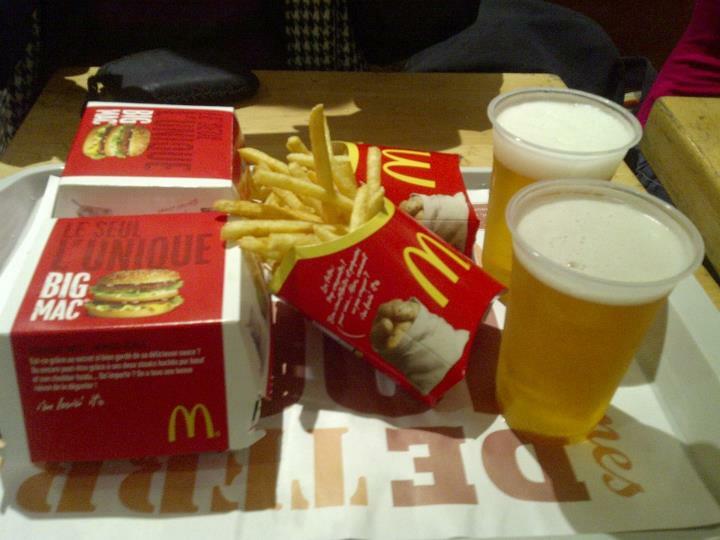 Yellow: Now where can you only get beer at Mcdonalds? In Europe... Correct. 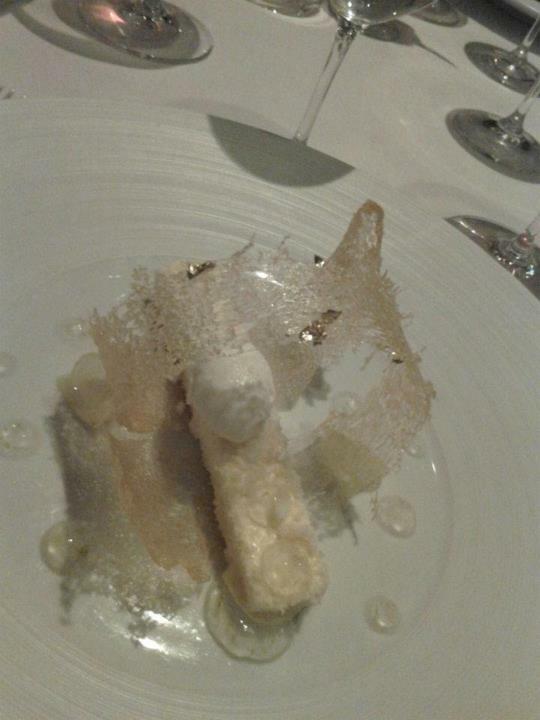 But in this case I was in Paris, France and when in Paris... 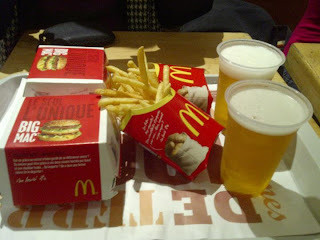 I do not normally eat at Mcdonalds but I had to make a exception just for the beer. Red: Last destination on the blog post... Golden Gate Bridge in San Francisco. 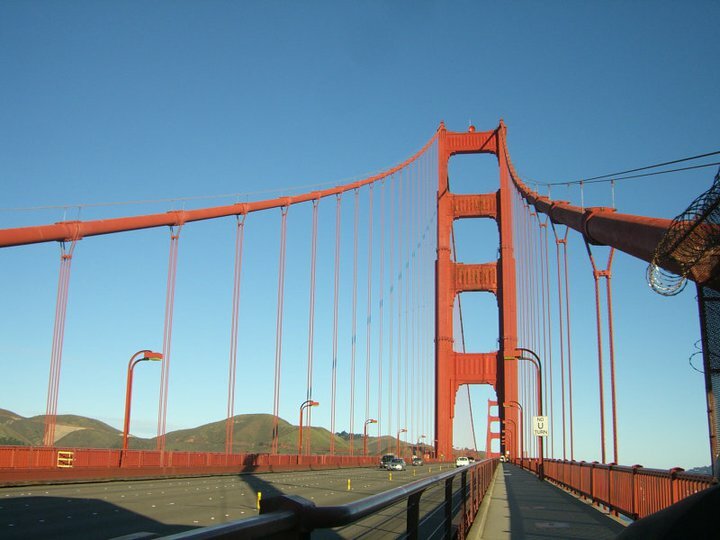 You can not go to San Francisco without seeing this massive landmark let alone walk or ride across the bridge. And here is a true story for you; group of kids one night drove a Volkswagen beetle to the middle of the bridge and decided to bungee cord it off the bridge so when people woke up the following morning, they woke up to the news that a VW beetle was hanging from the Golden Gate Bridge and from today onwards, that VW Beetle still lays on the bottom of the San Francisco Bay underneath the Bridge.